Tormentil is part of the Moor & Mountain range, which is inspired by the landscape of the Outer Hebrides. You will see this plant listed as Common Tormentil in the textbooks, but I think that does it a disservice, for it is uncommonly beautiful. Potentilla Erecta is its botanic name, but that is rather a mouthful for a plant with such a tiny flower. It grows on acid moorland, as long as it is not too wet, and thrives on the banks of the stream that runs through my garden. I love the way its yellow star-like flowers peek out of the grass for the whole of summer. 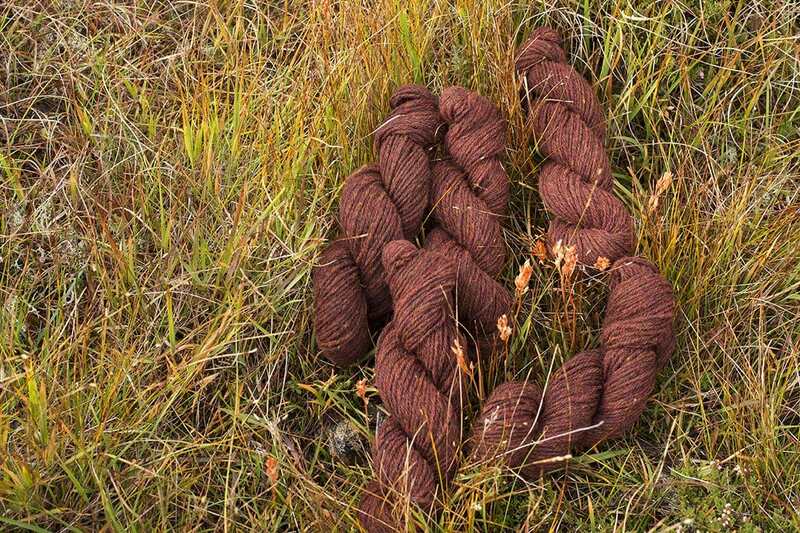 Dig under the delicate flowers and there is a world of interest, for the plant has reddish, tuber-like roots. 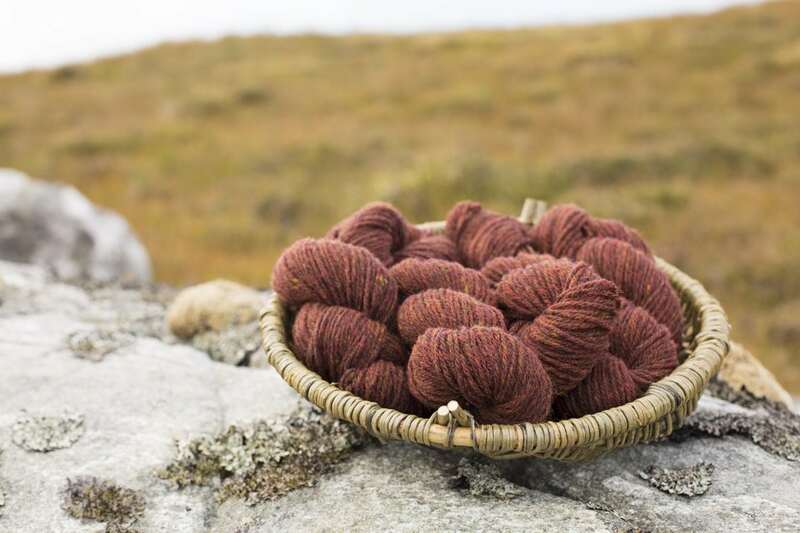 These small tubers have a significance in Hebridean history, for their skin or bark yields a russet dye that was long used to colour nets, ropes and canvas sails for fishing boats. The boats I am referring to are the generation that preceded steam power, such as those known as Zulus, Fyvies and Sgoths which were used in the 19th century. I have used Tormentil for small-scale dyeing. Small-scale, for the simple reason that the labour involved in barking the fiddly little tubers is monumental. How they scraped enough to do entire sails is utterly beyond me, and I am rather well known for my patience with fine work. I do not know who did most of this particular work, but I am endeavouring to find out. I really should have asked the old Stornoway "worthies" who may well have remembered facts from way back in their boyhood. However, when I had the opportunity to ask, I was a teenager with other things on my mind, and now it is too late. They are long gone, and Stornoway's old Ropework Park, as it was known, is now a parking lot and a gardening supply centre. I badly wanted to capture the old colour of russet sails against clinkered timbers, and in our Tormentil shade, I believe I have succeeded. I have added a little extra in the form of gold traces to evoke those little yellow flowers on moor and streambank - for the simple reason that they deserve it. I will add this further small reference to Tormentil. It was penned by The Rev. Hugh Monro of the parish of Uig in Lewis for the Statistical Account of Scotland, 1791 to 1799. I like it both for the information it contains and the creative use of the non sequitur. All the woollen and linen cloth used for common purposes is spun and wove in the parish. There is only one surgeon in the whole island. All the inhabitants are of the Established Church. In the parish are four or five boat-carpenters, and several persons who make broags of leather tanned by the inhabitants with tormentil root. There are no instances known of suicide.